Congratulations! You’ve decided to apply for an internship, job, grad school, or scholarship. Your application is often your first chance to introduce yourself to an employer, graduate program, or scholarship review committee. Applications for these opportunities vary and are usually quite different from what you may have filled out when applying for part-time jobs throughout high school or college. For that reason, it’s important to spend time thinking about how your skills and experience make you a good fit for the opportunity. This process can take a little bit of time but trust us (and your future bank account): it’s worth it. On this page, we’ll break down the parts of an application and add some best practices to consider. If you’re looking for examples of resumes for specific industries, please check out the Career Community pages. Yeah, you read that right. Resume(s). As in you’ll probably have to create more than one. Each job, internship, scholarship, or graduate program requires different skills and has unique needs and requirements. In the same way, your resume must be tailored to address each opportunity. It’s important to carefully review your resume each time you apply, remove irrelevant information, and reorganize your bullet points so that the most important stuff is always listed first. We encourage you to return to this page as often as needed to make sure your materials are the actual best. A resume is so much more than a list of your experiences. It’s also a marketing tool, a screening device, and perhaps your best shot at getting invited to interview. 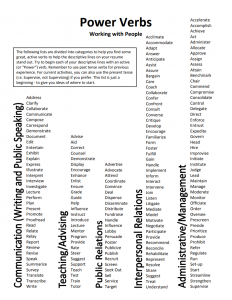 Using Power Verbs to add a strong and effective appeal to your resume. Breaking down your work experience, education, and other attributes into snapshots of success. Express the basics and quantify your work. 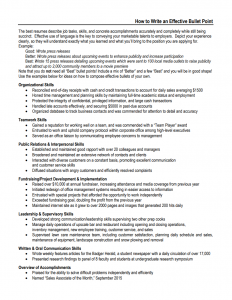 How to make your resume excellent by taking bullet points to the next level. 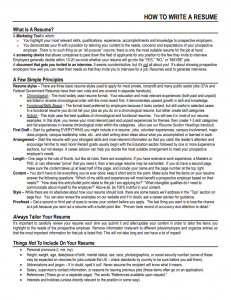 The best resumes describe your job responsibilities, skills, and accomplishments. 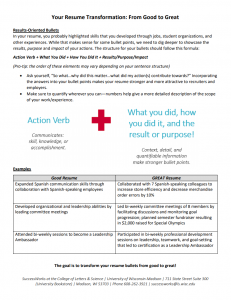 Read some sample bullet points to help you put together a winning application. 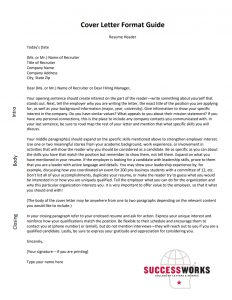 Your cover letter serves several purposes as part of your application. It demonstrates that you understand the needs of the employer, organization, or grad program and that you “get” them. This is your chance to introduce how your skills and experiences can serve as assets to their team. The cover letter also serves as a writing sample, and good written communication skills typically rank anywhere from #1 to #3 on annual surveys of skills employers want in their new hires. So proofread, proofread, and proofread again. Your cover letter and resume are not meant to be duplicates of each other, but to be complements. They should work together to help build your case as a qualified candidate for the position or opportunity you’re applying for. If you have any questions or would like another set of eyes on your cover letter, let us know. Our career and internships advisors and specialists are here to help guide you through this process. Get started on writing your cover letter with some of these general tops and guidelines; including who to address your letter to and basic formatting. This document also contains a sample cover letter. 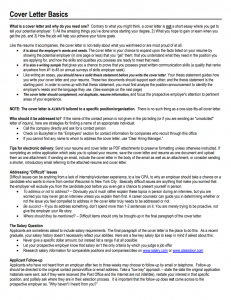 Description of what to include in a cover letter as well as the format of a cover letter. 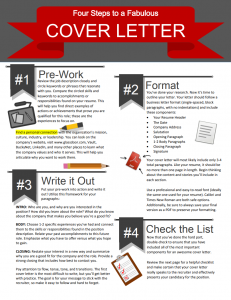 Instructions on how to write a cover letter, step-by-step. 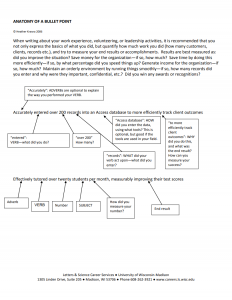 Looking for a quick overview of how SuccessWorks can help you, or a fast review of your resume or cover letter? SuccessWorks offers 15 minute drop-in advising sessions every weekday. No appointment needed!